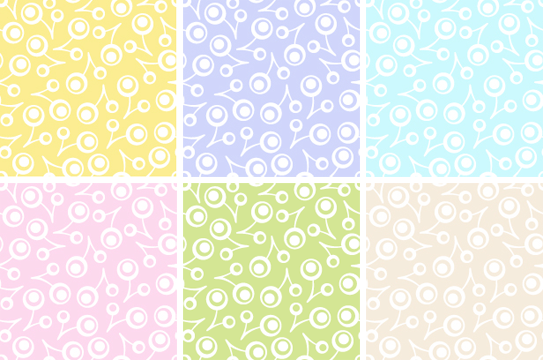 One of my goals for 2014 is to enter a few more of the Spoonflower fabric design challenges. They have one every week, but the themes don't always spark inspiration, or they might be more sewing-pattern-related or I just don't have time. But the one that's being voted on now, was definitely one I was up for. The theme was a spring floral cheaters' quilt block ie make it look like it could be patchwork, without it really being pieced. We also had a restricted colour palette for this one, which I quite enjoyed as a challenge. 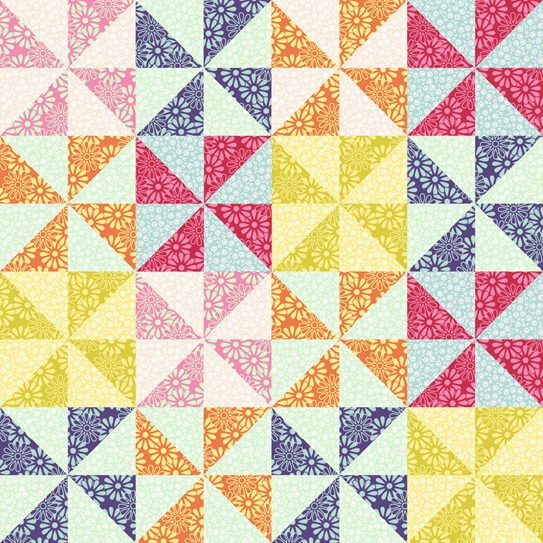 This is my design at a fat quarter size. There's such anticipation once you've put your design up, waiting for voting to open so you can see what everyone else has done. I'm always amazed at the variety of what's on offer, even with the restricted palette. There's some lovely work out there – check it out (and vote) here. And then this is the smaller floral. 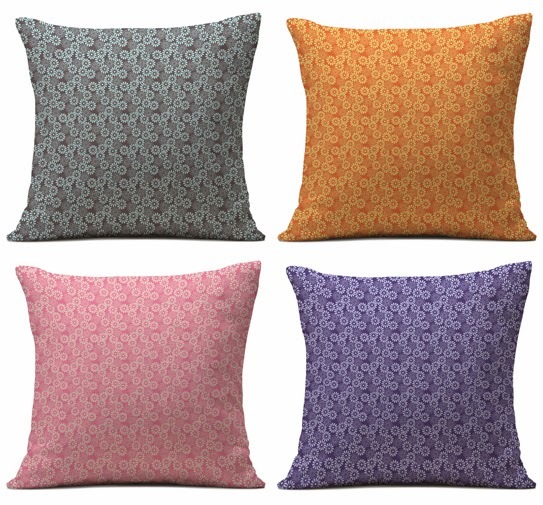 You wouldn't be able to see the pattern on a cushion image so I've just done actual-size swatches here. On the knitting front it's been slow-going. Honestly this thing has made me want to weep this weekend. I don't know what it is with lace. Give me fairisle, intarsia or cable any day over this! I think I've undone as many rows as I've knitted this week. 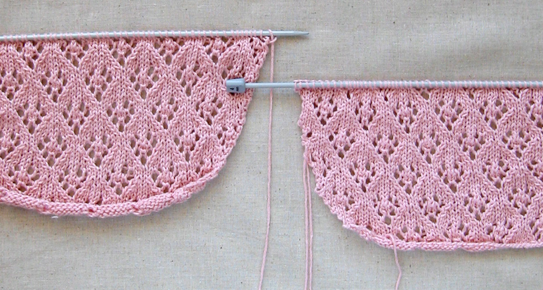 I swear that I always put the yarn over and count stitches between lace holes, but I just couldn't get it together. If you see a mistake in the picture below, don't tell me... I just don't want to know. Helping me laugh at the highs and lows of knitting this week has been a book I've had on the shelf for ages, but never got around to reading. This week I finally picked it up and read it all – I don't know what took me so long. It's "A Life in Stitches" by Rachael Herron. She was one of the early knitting bloggers at www.yarnagogo.com and the book is a memoir about her knitting life. Each chapter is its own little story about knitting and the connections that go along with it – the person who taught you, knitting at work, friendships made, patterns attempted, jumpers pulled undone and, of course, knitting triumphs. I both laughed and cried on my way through. Get hold of it if you can. Anyway, enough ramble... I'm off to do another few rows of that blinking lace. Thank you Ulla! And greetings to you from Australia!